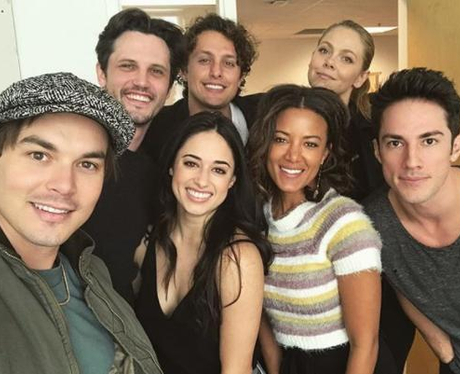 Roswell, New Mexico is an upcoming drama series airing on CW11 Seattle, beginning Tuesday, January 15th, 2019! Let’s get to know the cast! Roswell. New Mexico — Image Number: ROS1_Liz_0011rb.jpg — Pictured: Jeanine Mason as Liz Ortecho — Photo: Marc Hom/The CW — ÃÂ© 2018 The CW Network, LLC. All rights reserved. Jeanine Mason is most known for winning Season 5 of FOX’s So You Think You Can Dance and is recently recognized for playing Dr. Sam Bello on Season 13 & Season 14 of Grey’s Anatomy. She was born and raised in Miami, Florida and began her dance training at the age of three in ballet and flamenco, going on to study multiple other genres of dance. Jeanine graduated from UCLA in 2014 and credits her education for adding depth to her creative work. Her acting career took off after earning the title of America’s Favorite Dancer on SYTYCD (fun fact: she was the first Cuban American to win! ), guest appearing on multiple shows including Criminal Minds, NCIS: LA, CSI, and Major Crimes to name a few. She plays the main character on Roswell, New Mexico, a jaded biomedical researcher and the daughter of undocumented immigrants. Roswell. New Mexico — Image Number: ROS1_Max_0024ra.jpg — Pictured: Nathan Parsons as Max Evans — Photo: Marc Hom/The CW — ÃÂ© 2018 The CW Network, LLC. All rights reserved. This Aussie actor was born in Adelaide, Australia. Moving to the United States when he was young, Parsons was raised in Colorado and Texas and later graduated high school from St. Andrews Episcopal School in Austin, Texas. Later he went on to graduate from USC’s Bachelor of Fine Arts Acting program and is a member of Boom Kat Dance Theatre in Santa Monica, California. Other than dance, in his spare time, he enjoys rock climbing, hiking, lacrosse, football, soccer, yoga, and scuba diving. He is not new to The CW — he previously starred in The CW’s The Originals. Other credits include General Hospital, True Blood and the film, The Roommate. Fun fact: Nathan and Jeanine have previously starred together on the ABC Family show, Bunheads. 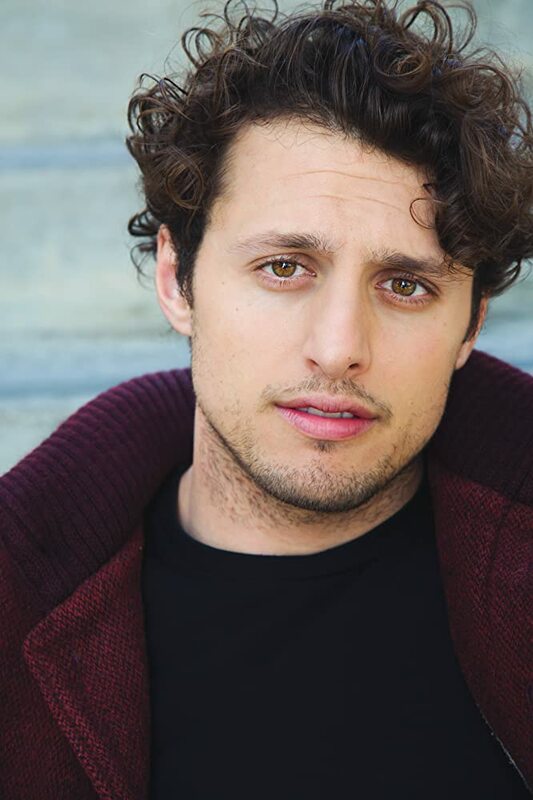 In Roswell, New Mexico, Nathan plays Max, a natural born leader and dedicated Roswell police officer whose true identity happens to be an alien, a secret he has kept for years. Roswell. New Mexico — Image Number: ROS1_Isobel_0027rb.jpg — Pictured: Lily Cowles as Isobel Evans-Bracken — Photo: Marc Hom/The CW — ÃÂ© 2018 The CW Network, LLC. All rights reserved. Lily Cowles is an up and coming actress. Previous credits include BrainDead, Jones vs. the World, and Joe Goes to Therapy. Her mother is well known actress Christine Baranski and her father is Matthew Cowles. On Roswell, New Mexico, she also plays an alien, but keeps her true identity a secret by living her life with grace and enthusiasm. Roswell. New Mexico — Image Number: ROS1_Michael_0001ra.jpg — Pictured: Michael Vlamis as Michael Guerin — Photo: Marc Hom/The CW — ÃÂ© 2018 The CW Network, LLC. All rights reserved. Michael is an actor/filmmaker originally from Chicago, Illinois. His short film, “MemE! True Hollywood Story,” won an award at the 2016 Tribeca Film Festival. It was shot completely through Snapchat and follows the rise and fall of an internet meme. He recently starred in the film 5 Years Apart alongside Crazy Ex-Girlfriend’s Scott Michael Foster, which is due for a 2019 release. On Roswell, New Mexico, Michael plays a troubled but brilliant alien who survived a hard childhood and is attempting to discover a way to escape Earth. Roswell. 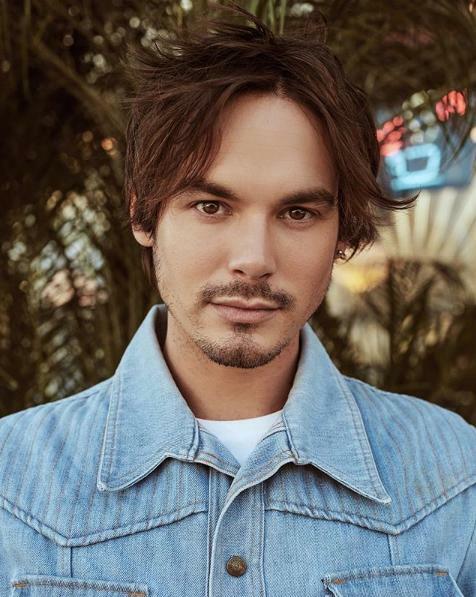 New Mexico — Image Number: ROS1_Alex_0020ra.jpg — Pictured: Tyler Blackburn as Alex Manes — Photo: Marc Hom/The CW — ÃÂ© 2018 The CW Network, LLC. All rights reserved. Most will recognize Tyler from playing the softy bad boy Caleb Rivers in the hit Freeform TV series, Pretty Little Liars and the spin-off series, Ravenswood. Native to Burbank, California, Blackburn began acting at 17. One of his first on-screen parts was playing a recurring role on the daytime soap opera, Days of Our Lives. He also has recorded songs for a web series, Pretty Little Liars, and The Secret Life of the American Teenager. Interesting fact: Blackburn has a 4-inch long scar on his left shoulder, caused from removing a benign bone tumor when he was 10. As Alex in Roswell, New Mexico, Tyler plays a military vet who has experienced quite a bit of physical and psychological trauma. Roswell. New Mexico — Image Number: ROS1_Kyle_0045rb2.jpg — Pictured: Michael Trevino as Kyle Valenti — Photo: Marc Hom/The CW — ÃÂ© 2018 The CW Network, LLC. All rights reserved. The Vampire Diaries fans will recognize Trevino for playing high school werewolf Tyler Lockwood (securing him a Teen Choice Award for Choice TV Male Scene Stealer in 2011 & 2012). He was raised in Valencia, California and started film acting in 2006 on the Disney Channel Original Movie, Cow Belles. He even played a small role in the 8th season of the original Charmed series as well as a three-episode arc on The CW’s 90210. In his off time, Michael enjoys surfing, snowboarding and deep sea fishing. Michael plays Kyle on Roswell, New Mexico, the son of the town sheriff, who discovers some horrible things that have happened in his family’s past. Roswell. New Mexico — Image Number: ROS1_Maria_0085ra.jpg — Pictured: Heather Hemmens as Maria DeLuca — Photo: Marc Hom/The CW — ÃÂ© 2018 The CW Network, LLC. All rights reserved. Heather is not only an actress, but a film director and film producer. She is most known for playing Alice Verdura in The CW series, Hellcats. Hemmens went onto play a role in the Oprah Winfrey Network series, If Loving You Is Wrong. She was raised in the woods of Waldo, Maine with her siblings and attended a performing arts high school near Boston before heading to Los Angeles to pursue acting. In 2010 she directed and produced the short films Perils of an Active Mind and Designated. Fun fact: she has a black belt in martial arts and weapons training. On Roswell, New Mexico, Heather plays Maria, Liz’s former best friend, who is a socialite and oblivious to the existence of aliens. Roswell. New Mexico — Image Number: ROS1_Noah_0032ra.jpg — Pictured: Karan Oberoi as Noah Bracken — Photo: Marc Hom/The CW — ÃÂ© 2018 The CW Network, LLC. All rights reserved. 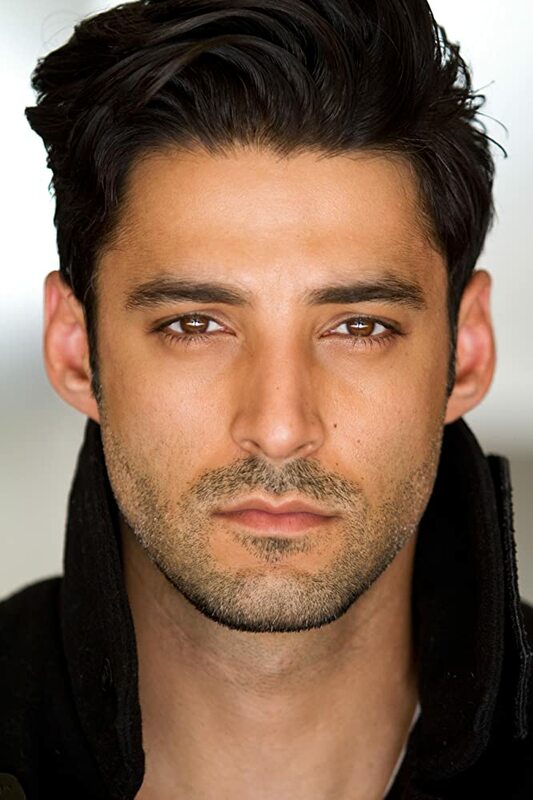 Karan Oberoi’s acting credits are extensive and is most recently known for playing Osman in the Starz series, Counterpart. Other credits include TV series Notorious, Castle, The Black List, and Combat Hospital, to name a few. He plays Isobel’s charming and devoted husband who senses that she has a secret she’s keeping from him. Find out more about Roswell, New Mexico right here!